The 2018 Volkswagen Tiguan Limited is the latest edition of one of the most popular compact crossovers in America. Compared to other vehicles in this segment, the Tiguan Limited gives you an incredible driving experience with impressive power and many standard comfort and convenience features. Lesser crossovers like the 2018 Subaru Crosstrek can’t compete with the Tiguan Limited and its superior powertrain. We’ve got more details on what makes the 2018 VW Tiguan Limited so special below! 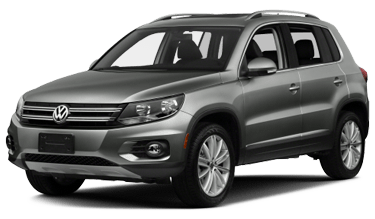 Schedule your test drive in the new Tiguan Limited right here on our site, or simply visit our dealer location. While the 2018 Subaru Crosstrek has a sloping roofline, the 2018 VW Tiguan Limited retains the tall, roomy feel of a typical SUV. That means not only will you get superior headroom in the Tiguan Limited — a godsend for taller drivers — it also gives you more rear cargo space than the Crosstrek. The 2018 Volkswagen Tiguan Limited also gives you a variety of superior standard features. Inside, the 40-20-40 split folding rear seats give you more flexibility to combine passenger and cargo space than you’ll have on the 2018 Crosstrek. And on the exterior, the Tiguan Limited gives you power, heated mirrors with integrated turn indicators. The mirrors you’ll find on the Crosstrek can’t be equipped with all these features. Both vehicles in our comparison here are powered by 2.0L, four-cylinder, direct-injected engines — but the one in the Tiguan Limited is turbocharged, and makes vastly more power. You’ll enjoy the thrilling drive of the 2018 Tiguan Limited, which provides nearly 50 additional horsepower and more than 60 extra lb/ft of torque compared to the 2018 Subaru Crosstrek. That means it can tow an extra 700 pounds, too. It can even be equipped with 4MOTION all-wheel drive, so you can take on inclement weather and unpaved road surfaces with confidence. The 2018 Volkswagen Tiguan Limited features a durable body cage, a full complement of airbags and electronic stability systems. 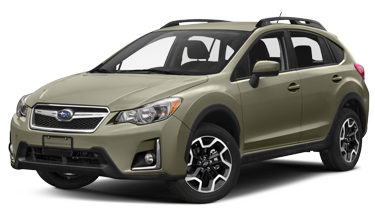 So does the 2018 Subaru Crosstrek. But what sets the Tiguan Limited apart from the Crosstrek is not how it helps you avoid an accident, but how it steps in to help after an accident has occurred. The Volkswagen-exclusive Intelligent Crash Response System is able to detect an accident and automatically engage the brakes, preventing you from rolling off the road or into another vehicle after being struck. It will also deactivate the fuel pump, unlock the doors and engage your hazard lights. Even after an accident, the 2018 VW Tiguan Limited continues working to keep you safe. You won’t find this feature on the Crosstrek.